Automakers usually do it. They buy cars from their rivals, bring them to pieces, check them out, inspect every aspect and then get rid of it. It’s a job that the Research and Development departments have grown used to. But oops, Mercedes did it the wrong way. They dismantled a Tesla Model X brought in from Sixt. Yeah, you read that right: Sixt, the car rental company. On the verge to develop their own electric brand, the Mercedes-EQ, the Germans are desperate to find out what the benchmark rivals do within the industry. But something went terribly wrong, because in the dissection laboratory, they brought a car they never bought. Things are getting far worse: the automaker rented a car that a Bavarian couple left in the custody of Sixt. The German magazine Spiegel reports that the couple was on a long-term vacation and decided to make some money with their luxury electric, instead of keeping it safely parked in their garage. Sixt eventually rented it to Daimler, without having a clue on their intentions. 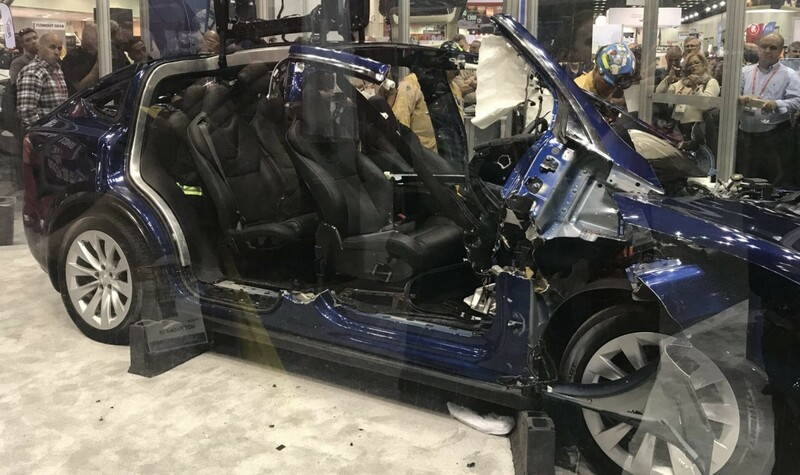 The premium car maker took it to the Sindelfingen test track, put it through heat and vibration tests, drove it to Barcelona for further testing, dismantled it and rebuild it back again before returning it to the car rental company. The owners eventually found out and required compensations which Sixt has already paid, but now the car rental house is asking for damages from Daimler, an amount of money estimated to be “in the five digits” format. Mercedes will be launching their own electric crossover, the EQS, in 2019. Audi has performed a similar activity last year, but they apparently bought the Tesla Model X in the United States, prior to announcing the development and launch of the company’s electric SUV.